Houston businessman and Texas A&M University distinguished petroleum engineering graduate George P. Mitchell 40 built a billion-dollar energy empire and an international reputation on his penchant for hard work and his belief in a basic but powerful premise: Actions speak louder than words. Nearly a year after his death last July at 94, the secrets of Mitchells success are still coming to light, revealing more about his legacy of pioneering achievement, not only in oil and gas, real-estate development, sustainability and philanthropy, but also in generosity of action that, in one particular instance, quietly helped revive and later enhance an Aggie tradition long before the concept of paying it forward became en vogue. Each spring without fanfare for the past 60 years, Mitchell has been helping to cover the costs associated with a prestigious award he won as a student and later singlehandedly resurrected in 1953  an inscribed gold watch recognizing the top students in the Texas A&M Harold Vance Department of Petroleum Engineering. In appreciation of Mitchells support for generations of Aggie petroleum engineers and in an effort to continue his visionary legacy, department officials plan to continue providing watches to their most outstanding and deserving seniors in Mitchells memory, beginning with the 2014 graduation ceremony held Friday (May 9) in the Richardson Building on the Texas A&M campus. Although the latest Mitchell philanthropic revelation was news to most Texas A&M administrators and staff outside of petroleum engineering  even those well versed in the professional and personal exploits of the all-time most generous donor in Texas A&M history  it came as no surprise to Linda Bomke, who retired in December as vice president after serving 42 years at Mitchell Energy & Development Corp and the Mitchell Family Corporation. This was one of the many things Mr. Mitchell did for so many people and worthwhile causes throughout his lifetime, Bomke said. Hed done it for so long, it was in his personal budget. The department would send us the invoice for the watches, plus the engraving, and I wrote the check for many years. 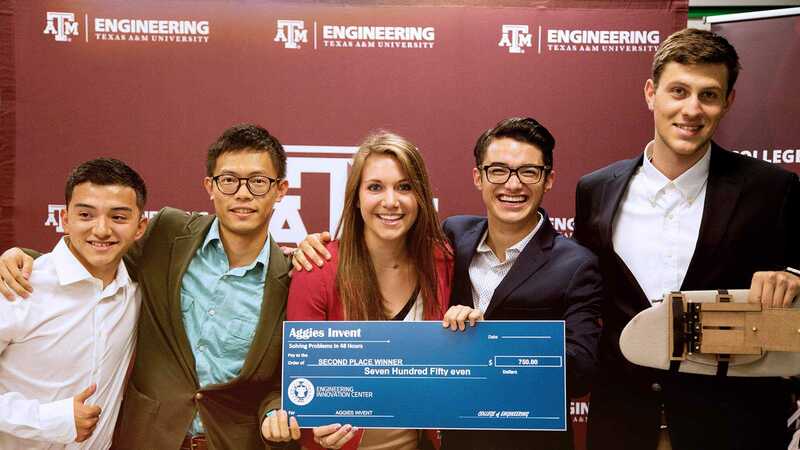 In Mitchells senior class valedictorian days, the coveted gold watch was provided by the Petroleum Engineering Club  Texas A&Ms version of a student chapter of the American Institute of Mining, Metallurgical and Petroleum Engineers (AIME)  to the most outstanding senior in petroleum engineering. Following Mitchell in 1940, three additional winners were honored prior to a nine-year hiatus from 1944-52 during which no watches were awarded. Mitchell personally reinstituted the senior gift in 1953 while also adding a second watch to recognize the top junior in petroleum engineering. Three years later, he revised the awards program to provide the traditional inscribed watches for the most outstanding and most improved seniors as well as petroleum engineering books recognizing the top two outstanding juniors in the major. The latter book awards were discontinued in 1963 due to low student enrollment. The awards program again morphed in 1976, when the Petroleum Engineering Club established the Robert L. Whiting Outstanding Senior in Petroleum Engineering Award, a monetary award ranging from $500 to $1,000 and named for the beloved veteran professor. Whiting, a faculty member from 1946-88, had stepped down as department head in 1976 after serving the prior 23 years in the role. For his part, Mitchell continued to provide an inscribed gold watch for the recipient of the Whiting Award as well as for the most improved senior, an award henceforth known as the George P. Mitchell Award to the Most Improved Petroleum Engineering Senior. In 1982, Mitchell replaced his name in the awards title with that of one of his favorite professors and lifetime inspirations, Harold J. Vance, namesake of the first named department across the entire Texas A&M University System. Vance served as the department head from 1934-53 and was credited by Mitchell for giving him the following sage advice: If you want to drive a Chevrolet, work for a big oil company, but if you want to drive a Cadillac, be an independent. Beyond instituting the hat tip to Vance, Mitchell continued to pick up the tab for both watches. 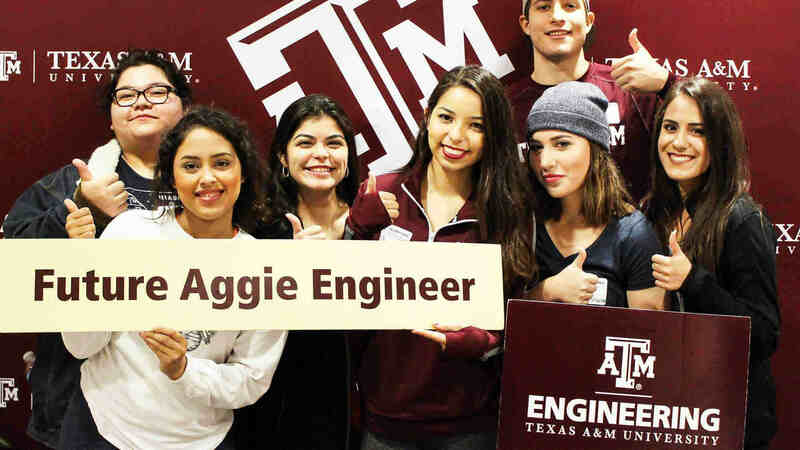 In 1989, the department added a third award, the Albert B. Stevens Memorial Award in Petroleum Engineering, a $500 to $1,000 monetary honor established by George T. McGehee to help deserving students in financial need to make the transition from student to participating petroleum engineer. Mitchell, in turn, continued to provide watches for the Whiting and Vance Award recipients. Most recently in 2009, the department made all three awards equal, providing each of the recipients with $1,000 checks and inscribed watches, with the department covering the extra cost beyond the two watches customarily funded by Mitchell. To date, Mitchell has provided 120 watches and 14 books since 1953. To learn more about George P. Mitchell 40 and his visionary legacy that includes being named Houstonian of the Century, visit http://www.science.tamu.edu/articles/1084.